Large loan fast turnaround - speak to us today if you need to move quickly. 5 to 7 days possible. 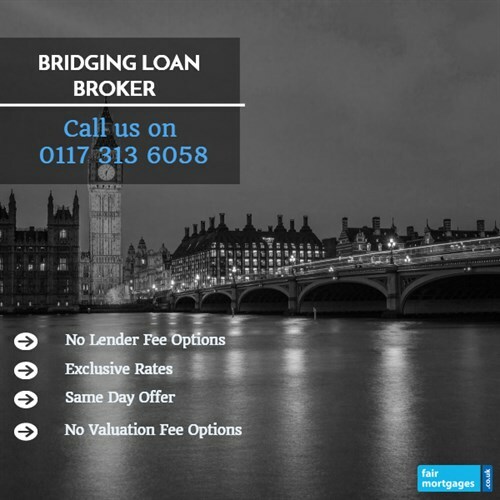 To investigate your bridging loan options call our mortgage team on 0117 313 6058 or fill in our call back form. The loan will be secured against residential or commercial property which bridges the gap to an exit through the sale or refinancing of the asset. Bridging loans may be offered in amounts ranging from £20,000 to several million, depending on your circumstances and which lender you approach. To discuss how you might be able to access bridging finance call or broker team on 0117 313 6058 or complete our request callback form.